It has already been three weeks since I touched down in Denmark, and with that, Session 1 has come to a close. I have already made all kinds of fantastic memories in this city. Most of the people I have come to know best here in Copenhagen were only first session-goers, which is unfortunate, but that only leaves the door open for me to meet new people and to create new experiences with my remaining 7 weeks! But for now, I have compiled a small list of favorite places and activities from my first three weeks here. The only thing we can make in the kitchen is pasta and chicken, but that doesn’t stop us from having a good time! We have had a couple of outdoor kollegium barbecues, organized by Hjalti. These have been a lot of fun, as the weather here has been beautiful, and it’s been a good place to try grilled Danish sausage and other new meats. As I mentioned in a previous post, this harbor-side elongated park is my favorite spot in the city. On a warm summer’s day, you can count on hundreds of people to be sprawled out in groups all over the lawns, and for just as many people to be jumping into the harbor from the dock. 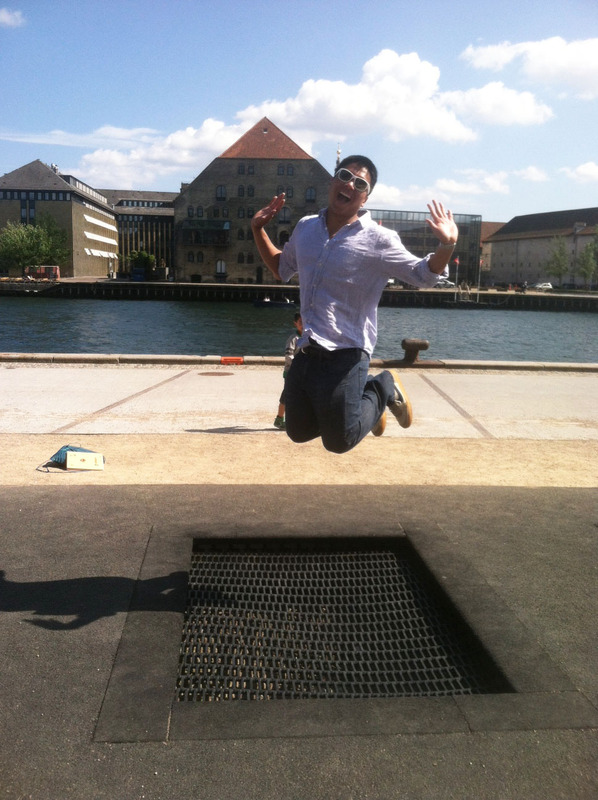 My kollegium-mates had a routine of jumping into the harbor followed by kicking a soccer ball (or should I say football?) around the lawn. 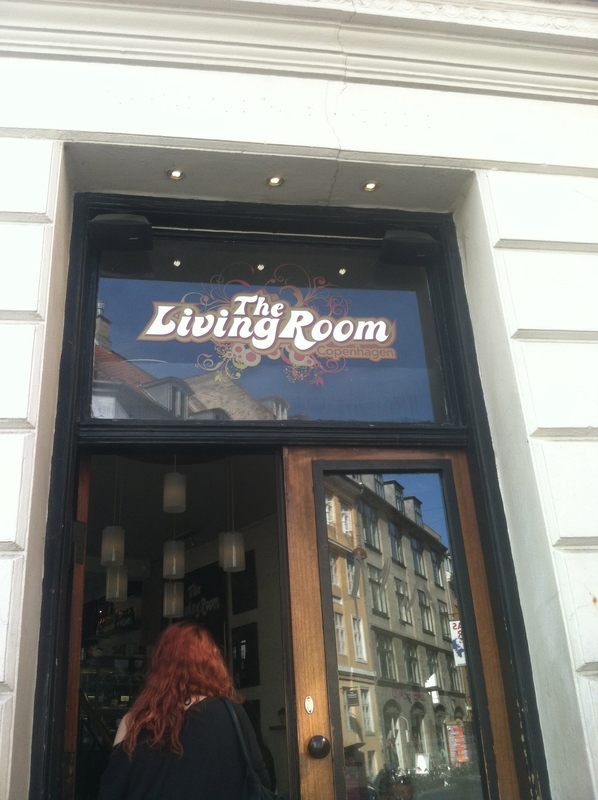 The Living Room is my dream cafe. Sitting on a corner about a block away from the main DIS buildings, The Living Room was introduced to me by my college friend Mary, who studied here in the spring semester. There are four tiers to The Living Room: the second tier contains the front door landing and a couple of couches, the first tier contains the food and drinks, accompanied by a row of window-facing high tables attached to the wall, and the darker third and fourth tiers contain dozens of lush couches and chairs, in addition to a fireplace. The coziness of the third and fourth tiers is clearly where this cafe gets its name. I have spent most of my blog-writing time in the cozy confines of my favorite chair on the Living Room’s third tier. In fact, I am sitting here now. This busy urban square serves as the intersection of three main pedestrian streets including the famous Stroget. Surrounded on all sides by restaurants, cafes, and plenty of sitting space, Amagertorv serves as a truly successful public space. Even in the middle of a weekday, the square is completely packed with people either sitting or walking. Street performers are often common sights, with further draw more people into the space. Ultimately, it’s a great place to just grab a drink and/or snack and sit and watch people with a friend or alone. 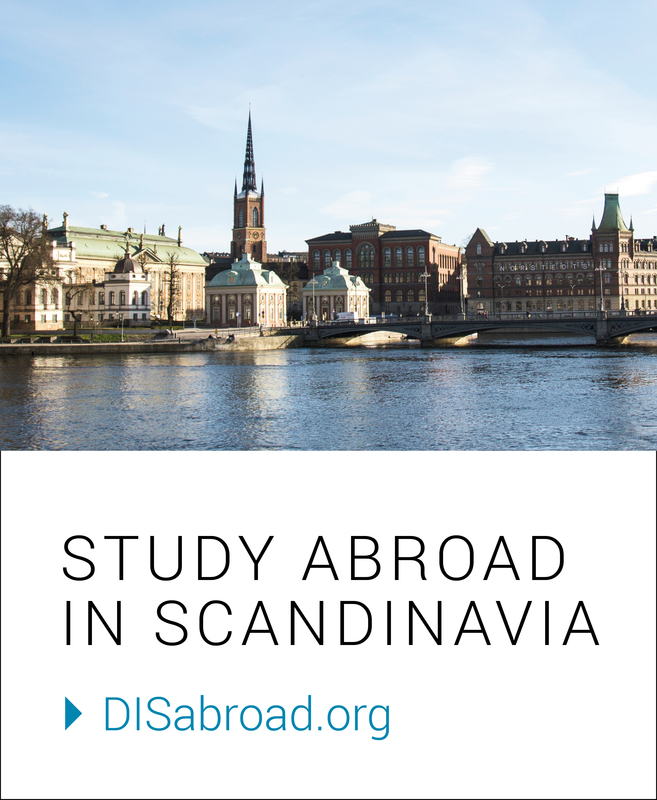 “A celebration of Copenhagen’s nightlife.” My SRA Hjalti told me from the second I arrived that I was lucky enough to be in Copenhagen when Distortion was taking place (June 4-7). What is Distortion, you may ask? It’s essentially a four day street festival which takes place in a new neighborhood in Copenhagen each day. Live music, drinks sold on the street, and good spirits serve as a good summary of the festival. I attended the very first day of Distortion, which was a Wednesday. Starting at around 3 or 4 pm, the main streets and squares of the neighborhood of Norrebro were all closed down and crowded with festival goers. Danish and international DJs were blasting music on every corner. I attended Chicago’s Lollapalooza music festival last August, and the atmosphere of Distortion was similar in the sense that you are surrounded by the sounds of music and laughter. Get off the metro at Nørreport station, walk northwest along Nørrebrogade, cross the Dronning Louises Bro (bridge), and you will be entering the neighborhood of Nørrebro. The neighborhood, as I mentioned previously, hosted the first day of the Distortion music festival. That aside, Nørrebro actually used to be considered a ‘ghetto’ area of the city. After several urban revitalization projects implemented by the city of Copenhagen over the past few decades, the neighborhood has bounced back. In my humble opinion, Nørrebro exists today as the most charming neighborhood in the city. Much more off-the-beaten-track than the city center of Copenhagen, Nørrebro seems to feature a much more authentic and less touristy culture. It is a truly Danish neighborhood which contains my current favorite bar, Kassen, and my favorite smaller parks in the city. 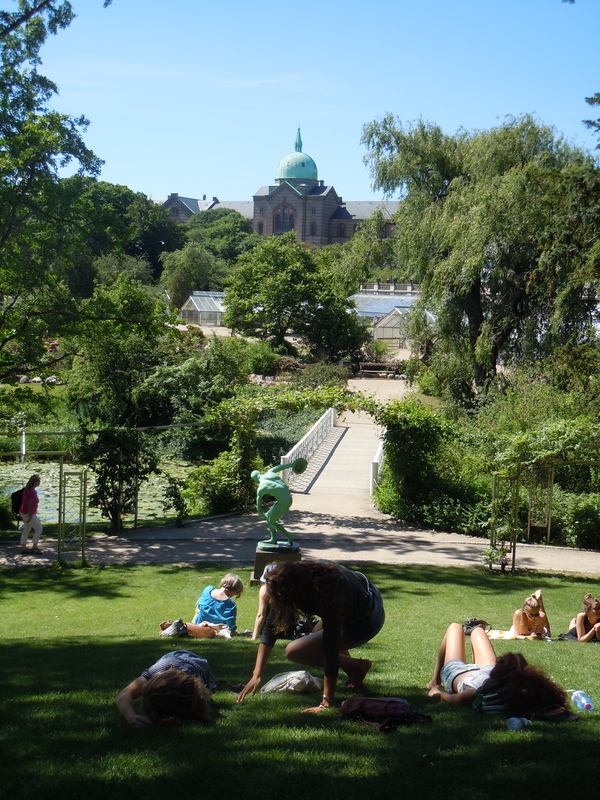 I would highly recommend spending a weekend afternoon taking a walk around the neighborhood, specifically targeting BaNanna Park, and Nørrebroparken. The two are truly unique, with the former featuring a huge rock climbing wall in addition to some neat graffiti art, and the latter featuring a very elongated green space. A Danish form of “Cheers!” As Hjalti told me, whenever there’s silence at a social gathering, someone is supposed to raise their glass and yell “Skål!” and then everyone else repeats it at the same time. Next Jacqueline Scott: Halfway Mark – More Museums, Music, and Meals!